Did you know that Costa Rica is home to an estimated 920 species of birds, over 100 of which are endemic to the area. Indeed, Costa Rica is a birdwatcher’s paradise, and we are happy to report that some of the rarest and most beautiful of these species can be spotted right here on the Cloud Forest. Here are 7 species to keep an eye out during your visit in Monteverde. 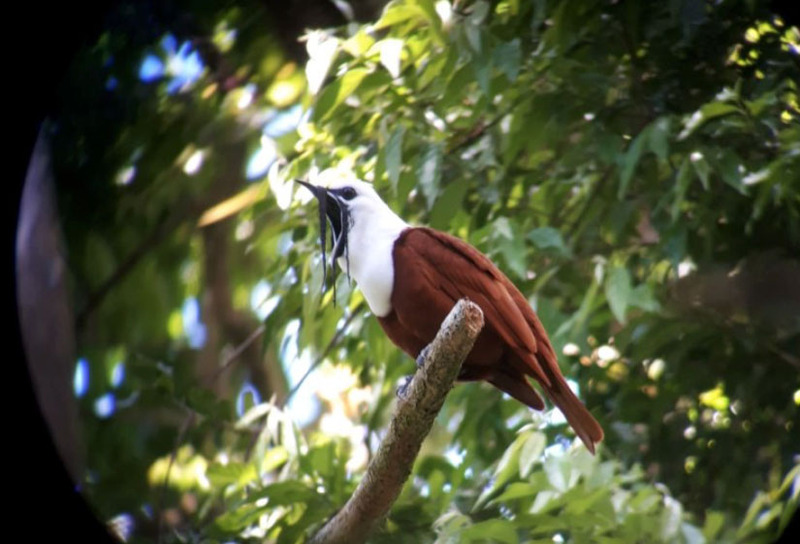 The three-wattled bellbird is an endemic species from Honduras to Panama, and migrates between the area based on its feeding and reproductive patterns. Males and females of this species are very different, females have yellow-green and brown-flecked bodies, while males are brown with a white head and have three beard-like tendrils (or wattles) that hang around their beaks. Picture taken by our nature guide Jason López. The bellbird is named for its distinctive bell-like call, so be sure to listen for it when exploring the wide open spaces that this species tends to inhabit! 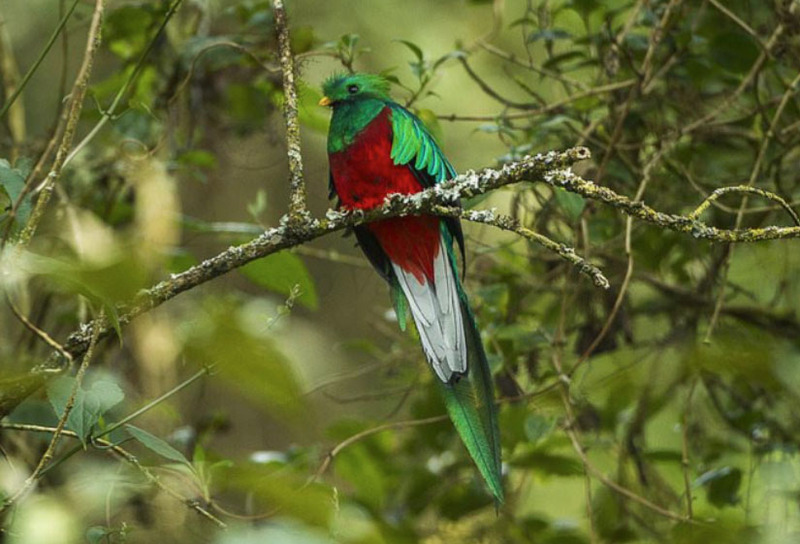 While the quetzal is not endemic to Costa Rica and can also be seen in some countries in Central america, this beautiful species is considered a symbol of Monteverde. Like the three-wattled bellbird, the best time to spot quetzals in Monteverde is between April and July, though the quetzal tends to frequent dense forest areas in humid highlands. This small but beautiful bird is native to Costa Rica and Panama, and can often be seen hanging out in tree canopies around Hotel Belmar, though you’ll probably need binoculars! 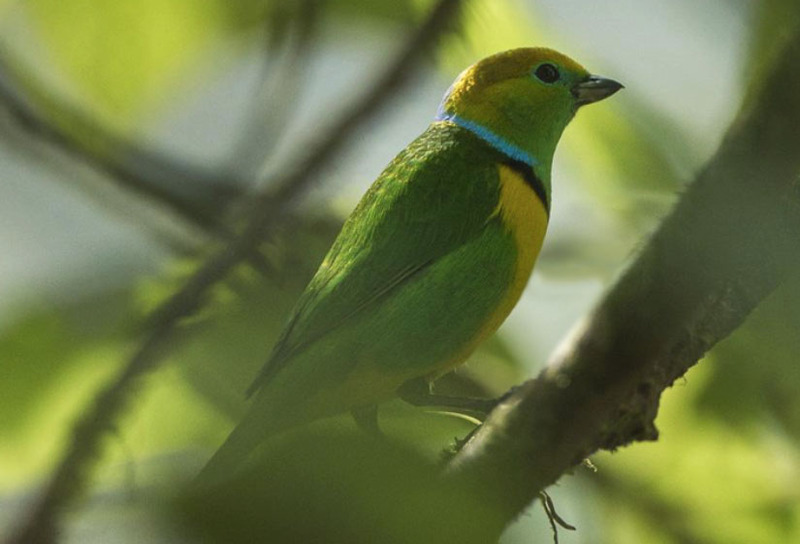 Male chlorophonias are green with yellow breasts and a yellow and blue head, and females are similar but with more green body. 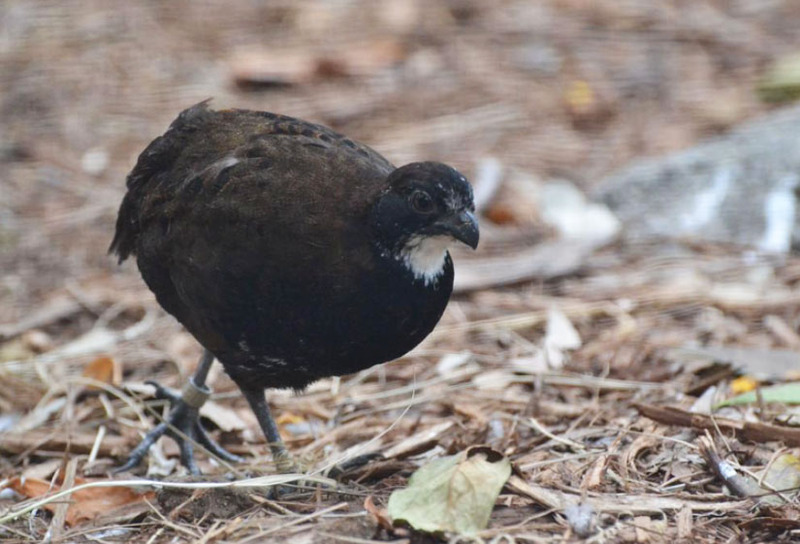 The black-breasted wood quail can be spotted in heavily wooded areas of Monteverde. Don’t worry; these quails are noisy, making them easy to find among the ground. Fun fact: the black-breasted wood quail is gregarious, meaning that it is fond of company and therefore travels in a flock. 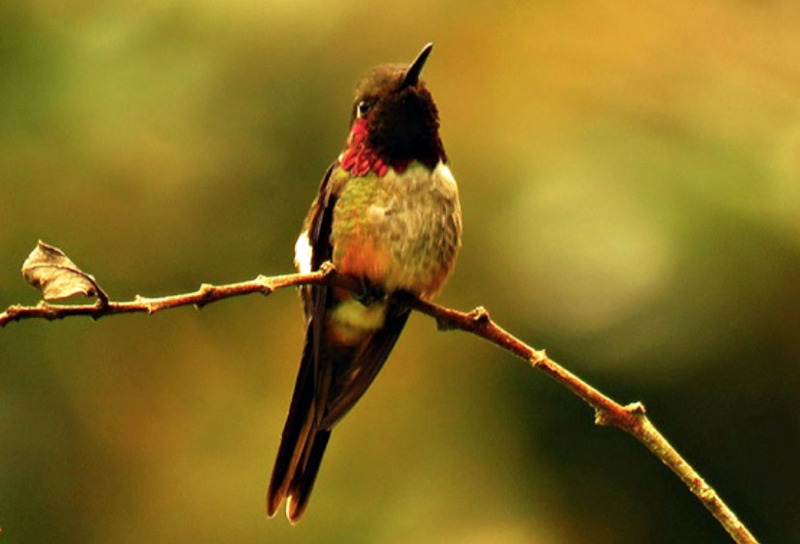 Monteverde is an especially popular area for the sighting of hummingbirds, like the magenta-throated woodstar. These tiny, fast-moving creatures are easily recognizable by the deep magenta throat, white collar, and green chest and flanks. Watching hummingbirds feed from the sweet nectar of native plants to the area, it’s hard to believe those little wings can move so fast. 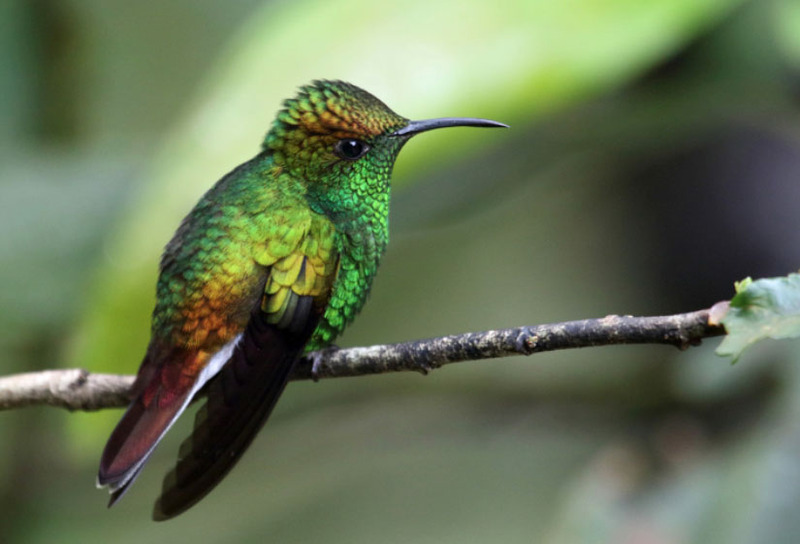 Last but not least is the gorgeous native hummingbird from Costa Rica the Coppery-headed Emerald, another hummingbird found in Monteverde’s native plants and flowers. These hummingbirds are quite easy to spot around the gardens of Hotel Belmar and open areas around. You’ll know this one by the coppery shimmer of the male’s belly and crown, and the almost peacock-green of both genders’ back and wings. Which species of bird do you hope to see during your stay at Hotel Belmar? Book your stay during May and June to enjoy the best and most interesting bird-watching activities in Monteverde: CLICK HERE!